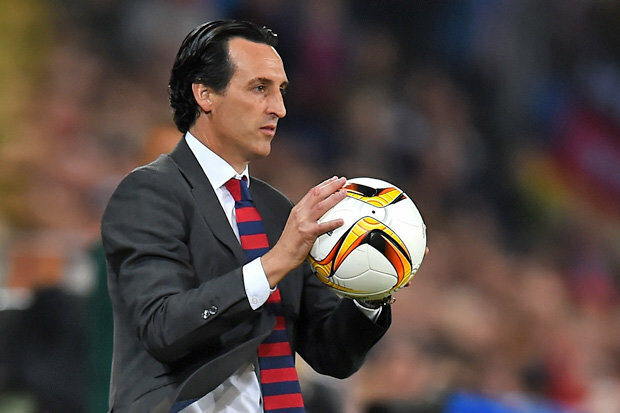 Unai Emery has preferred to start with a 4-2-3-1 formation in the big game against Manchester City. Lucas Torreira was in the bench; while Granit Xhaka and Matteo Guendouzi have started in the defensive midfield for the Gunners in this match. 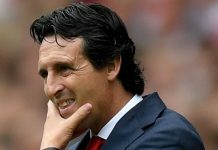 But the blunder that Unai Emery had committed was probably not starting with the pair of Pierre Emerick Aubameyang and Alexandre Lacazette in the Premier League match against Manchester City. It was proved in the previous Sunday in the Community Shield match that this Manchester City side were looking glorious in the field. It is almost impossible to stop them with employing defensive strategies. But the way should be to play your own attacking football to have a chance to win against them. In the previous season, Liverpool just followed this strategy and won against Manchester City in the Champions League Quarter Final match. Unai Emery also should have watched that game highlights to analyse the weak points of this Manchester City side. At the upfront of the field Pierre Emerick Aubameyang was more or less isolated within the marking of the centre back pair of John Stones and Aymeric Laporte. The combination of Pierre Emerick Aubameyang and Alexandre Lacazette might be lethal at times if they could start together. There was a time when Arsenal fans were celebrating the moves of Mesut Ozil usually. But, the things have changed drastically since the previous season. The German International has lost his pace and zeal in the attack. He is not anymore a threat to the opponent’s defense. Moreover, the player has slowed the motion of the fluid counter attacking football at some point of the match. No key passes, no brilliant cross, no dribbling past the defenders. It is seeming that, Mesut Ozil has passed his glorious days and now he is only the shadow of his past. The Gunners have brought in Sokratis Papastathopoulos from Borussia Dortmund in this summer transfer window to strengthen their defensive unit. But there were lapses in their defense several times. The coordination between the two centre backs in the field for Arsenal were really poor. One run of Kyle Walker has taken Maitland-Niles off the field and Stephan Lichtsteiner had to play in left back position which is not his preferred position. Unai Emery has to settle his team after this big defeat against Manchester City before facing Chelsea in the London Derby in the next weekend.